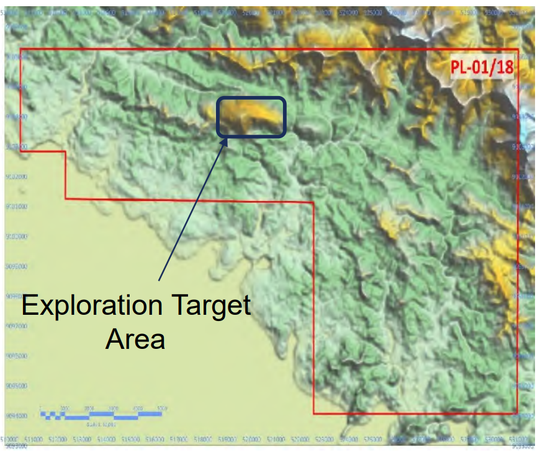 ASX exploration junior, Metminco Limited (ASX:MNC) is casting its net wider and looking to add nickel and bauxite interests to its existing portfolio of Colombian gold exploration assets. The company is weighing up an acquisition of a 100% interest in Sunshine Minerals Ltd — a private company focused on the exploration and development of its advanced nickel laterite project, the Jejevo Nickel Project in Solomon Islands. MNC proposes to acquire all existing share capital in Sunshine Minerals and complete an accompanying capital raising to advance MNC’s existing Quinchia Gold Project in Colombia and the Jejevo Project – and evaluate the Tausere Bauxite Project — also in Solomon Islands. Along with its existing Quinchia Gold Project in Colombia, the Sunshine Minerals acquisition means that MNC will have dual advanced exploration projects: gold and nickel. For an ASX junior, with a market cap of just $4.6 million today, that’s quite the portfolio. Although it does remain an early stage stock and investors should seek professional financial advice if considering this stock for their portfolio. Sunshine’s focus has primarily been the exploration and development of the Jejevo Project — an advanced nickel laterite project. This is a project that provides opportunity to rapidly add value on previous historical data and offers a low cost route to potential production. Targeting nickel is a wise strategic move that will diversify MNC’s assets by adding to its existing Colombian gold assets. Over the past three-plus years nickel has been in a rising price environment, and it’s in a market that is poised to further benefit from the rise in electric vehicles in coming years. Upon successful completion of due diligence, and a ~$3 million capital raising, MNC will emerge well positioned with a strong balance sheet, able to advance the Jejevo Nickel Project and existing Colombian gold portfolio of assets. Additionally, as part of the acquisition MNC will also nab a prospecting licence over Sunshine’s early stage bauxite prospect, the Tausere Project, that is located on the southern coastline of Choiseul Island at the northwest of the Solomon Islands. Tausere is a relatively early-stage bauxite exploration play, and while exploration work is at a preliminary stage, the project benefits from having a land user agreement in place and the granted Prospecting Licence. Following the completion of the proposed acquisition, MNC will hold an impressive portfolio of near-term gold and nickel development opportunities in its Colombian Gold assets and newly acquired Sunshine assets, as well as a new early stage bauxite prospect. As it looks to move out of the micro-cap space, the $4.6 million capped Metminco Limited (ASX:MNC) is seeking to strategically add to its portfolio. While its Colombian assets remain a priority, MNC is keen to diversify its interests and finalise the Sunshine acquisition. MNC is proposing to acquire 100% of the existing share capital in Sunshine Minerals Limited through the issue of fully paid ordinary shares on a staged basis. Sunshine is a private company based in the Solomon Islands, northeast of Australia, focused on the exploration and development of its 80% interest in an advanced stage Direct Shipping Ore (DSO) nickel-laterite project, the Jejevo Project. 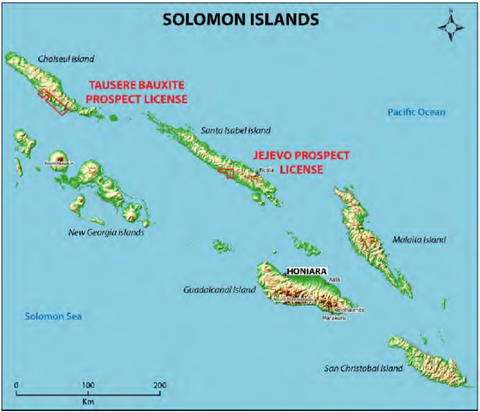 Sunshine also holds a Prospecting License over an early stage bauxite prospect, the Tausere Project, located on the southern coastline of Choiseul Island, situated at the northwest extent of the Solomon Islands. While it looks promising, backed by historical exploration, the deal will come down to MNC being adequately convinced of the upside potential via its due diligence process. MNC has agreed to pay Sunshine a non-refundable deposit of $50,000 to be used to pay part of the surface access fees payable for the Jejevo Project. If MNC decides to proceed, it will pay Sunshine $1,500,000 less the $50,000 deposit and agreed debts in Sunshine which will be satisfied through the issue of up to 250,000,000 fully paid ordinary shares in the capital of Metminco, at a deemed issue price of $0.006 each. Additional compensation includes 250,000,000 MNC shares on MNC’s announcement of an initial JORC Resource estimate at the Jejevo Project (of at least 125,000 tonnes of contained nickel metal, at a cut-off grade of not less than 0.7% nickel), that is based on exploration information from Sunshine and exploration work undertaken by MNC in the amount of not greater than $500,000; and 500,000,000 MNC shares upon the receipt of a Mining License over the Jejevo Project. The Jejevo Project, located on the south coast of Santa Isabel Island, is a nickel project with an advanced Exploration Target for which the majority of drilling was completed by Sumitomo back in 2013. The project provides the opportunity to rapidly add value on previous historical data which includes 472 diamond drill holes (338 drilled by Sumitomo in 2012/13 plus earlier Inco holes from the 1970s). This previous exploration led to an Exploration Target being generated of between 10Mt and 15Mt, at between 1.1% and 1.3% nickel within limonite, transition and saprolite zones. A development plan was previously generated from the project, and there are only low expected costs to generate a JORC Resource. Having a more diverse asset portfolio, including the addition of this advanced nickel project, helps insulate the company from commodity price fluctuations and shifting market sentiments. So while the gold price has been trending lower in the short term — past six months or so — the nickel price has had a solid three year run, although it’s slightly off its highs over the past couple of months. 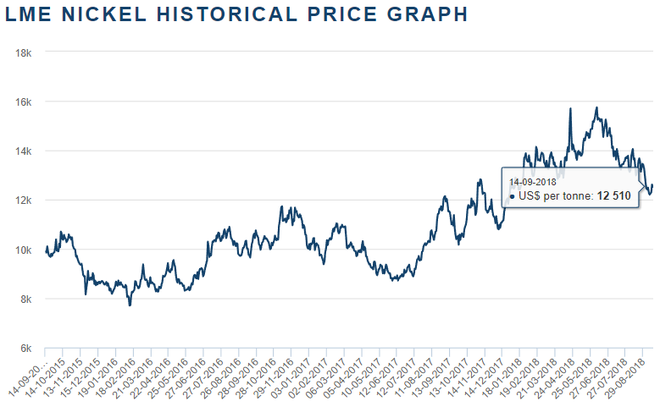 As can be seen in the chart below, nickel is trading above its three year average, at a price of US$12,510/t spot price on the LME last Friday. However, making an investment based on commodity prices can be risky as they do fluctuate, so take a cautious approach to any investment decision made and don’t base it on commodity prices alone. As mentioned, in addition to the Jejevo Project, MNC will also acquire Sunshine’s Tausere bauxite exploration play, a 510 square kilometre tenement. Assay results from historic sampling by Mitsui confirm the presence of high-quality bauxite at Tausere. Given the growing demand for quality bauxite proximal to China, Tausere could have potential for future development into a large-scale bauxite project. However, the near term plan is to progress Jejevo and MNC’s existing gold assets towards production. 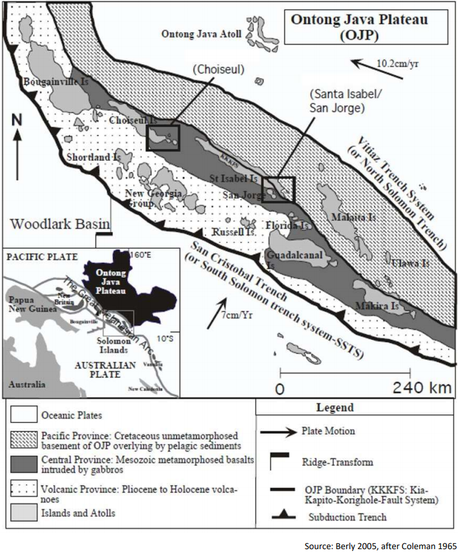 These two projects are located in a highly prospective mineralised zone in the Solomon Islands formed by southwest directed subduction of the Pacific Plate beneath the Indo-Australian Plate in the early Miocene. The Islands’ mineral prospectivity can be traced back to when the Ontong plate collided with the Solomon Arc and reversed the polarity of subduction, leading to arc collision and resulting in the exposure of thin fault slices of peridotite, pyroxenites, gabbros and other ultramafics on Santa Isabel, Choiseul and San Jorge. The Solomon Islands are bounded by two trench systems — the Vitiaz trench to the north and the South Solomon trench system to the south, marking the collision zone between the Pacific and Australian plates. This geological setting is important as nickel laterites have developed above these exposed ultramafic complexes which occur as thin thrust emplaced units on top of volcaniclastic sediments. Nickel laterites form over ultramafic (basement) rocks which have high magnesium, nickel and cobalt. The high tropical rainfall causes the rocks to whether removing and leaching the magnesium and silicon and resulting in the enrichment of iron, nickel, and cobalt. To help make its nickel-bauxite ambitions a reality, in conjunction with the proposed acquisition, MNC is undertaking a capital raising seeking to raise up to $3 million. The funds raised will be used to advance the Quinchia Gold Project in Colombia and Jejevo Nickel Project in Solomon Islands, evaluate the Tausere Bauxite Project in Solomon Islands and for general working capital. MNC is currently dual-listed on both the ASX and London’s AIM market. However, given the high cost of maintaining an AIM listing and the small number of MNC shareholders on that exchange, MNC will seek to delist from the AIM in conjunction with the acquisition of Sunshine. 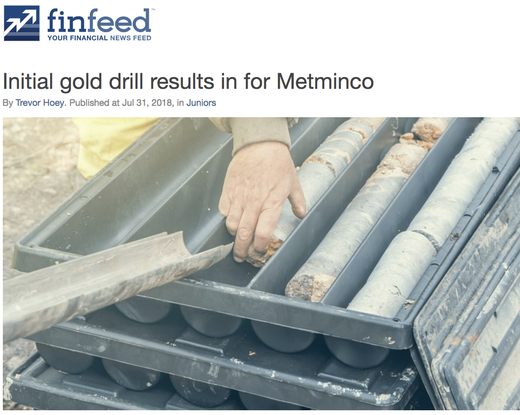 While the Solomon Islands projects are the talk of the moment, Metminco continue to advance and seek to create value through its Quinchia Gold Portfolio in the Quinchia district of Colombia. The company’s current focus at Quinchia is squarely set on two key exploration assets — its 100%-owned Tesorito; and Chuscal, which is under negotiation with Anglo Gold. 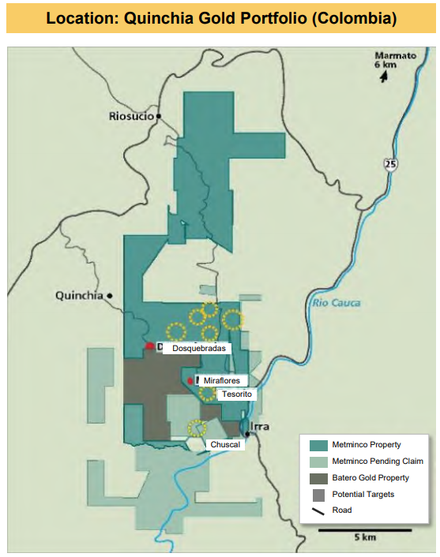 These two prospects, along with MNC’s Miraflores and Dosquebradas, make up the Quinchia Gold Portfolio, as can be seen on the map below. 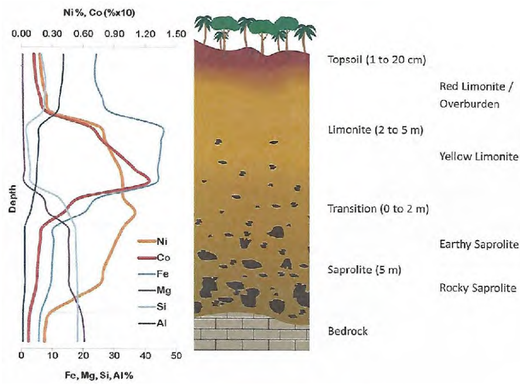 Tesorito displays gold-copper porphyry-style mineralisation. To date, seven holes have been drilled at Tesorito, mineralised from the surface. The best intercepts include 384m at 1.1g/t gold from drill hole TS-DH-02, and the recently announced 253.1m at 1.01g/t gold from 2.9m, including 64m at 1.67g/t gold from 144m. MNC will continue to advance geochemical work here and further drilling. In late July, MNC announced assay results for the first two diamond drill holes from its Tesorito gold prospect at its Quinchia Gold Portfolio. Finfeed is a related entity of S3 Consortium. This near surface mineralised target at the Tesorito porphyry will complement the Miraflores prospect, which is located just 800m to the northwest of Tesorito and has an 880koz Resource. MNC noted that any near surface, higher grade gold mineralisation that is delineated at Tesorito has the potential to materially improve the economics of the Miraflores feasibility study though an integrated development plan, sharing mine and process infrastructure. Any near surface, higher grade gold mineralisation delineated at Tesorito has the potential to materially improve the economics of the Miraflores feasibility study though an integrated development plan, sharing mine and process infrastructure. Add to that the additional targets at Chuscal and Dosquebrados that require follow-up, that are all within a 1.5km radius of operation for a potential centralised plant. The Chuscal asset, with the Quinchia Gold Portfolio, displays a large undrilled 0.5g/t gold geochemical anomaly and artisanal mining with channel grades up to 252 g/t gold. MNC will develop an initial drill program and continue to negotiate a potential Joint Venture with Anglo Gold. In July, prior to the most recent results from Tesorito and well before any mention of the proposed Sunshine acquisition, Stockdale Securities initiated coverage with a “Buy” rating on MNC. The broker noted that it expected “a re-rating of MNC’s stock on the back of results, confirming extensive gold mineralisation”. In addition to the assay results [at the time], the broker noted that negotiations are on-going with AngloGold Ashanti for a formalised Joint Venture agreement allowing MNC to follow up on a significant gold-in-soil anomaly (>0.5g/t gold over a 500m x 250m area) at the nearby Chuscal prospect. Remember that this outlook, while already optimistic, doesn’t even consider the upside potential on offer from the Solomon Islands nickel-bauxite assets. MNC has a clear plan as to how it intends to progress the Sunshine assets in the Solomon Islands. Once the acquisition is locked away, MNC will have all the pieces in place to advance the Quinchia Gold Project in Colombia and Jejevo Nickel Project in Solomon Islands, as well as evaluate the Tausere bauxite project. Although, it does have a lot of work to do with this new project, so investors should seek professional financial advice for further information if considering this stock for their portfolio. During the first year, the company plan to model and estimate a maiden JORC (2012) Resource at Jejevo. It will need to verify exploration data and records, and may need to undertake confirmation drilling. In the second year, MNC want to submit the development plan for ML and refresh EIS. Encouragingly, similar mining scale and concept were developed by Sumitomo. MNC will also undertake feasibility studies during the second year. The third year will involve securing financing and getting on with development of the projects. With cash behind it, junior explorer MNC delivers a unique near-term gold and nickel development opportunity. Expect plenty of newsflow to come in over the next few months as this diversified junior branches out in a bid to significantly lift its market cap.